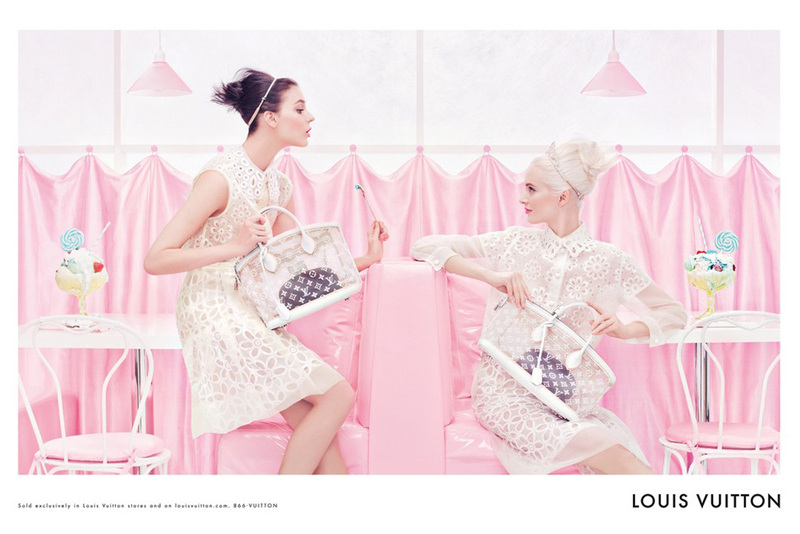 Louis Vuitton (LV) Spring | Fashion Fab News - fashion, beauty, celebrities, designers . Hola a todos, espero que estén muy bien porque hoy les quiero mostrar una parte de la campaña publicitaria de Louis Vuitton para la primavera del 2012 y para los que no han visto esta colección les cuento que en mi concepto es totalmente romántica y es digna de una princesa. 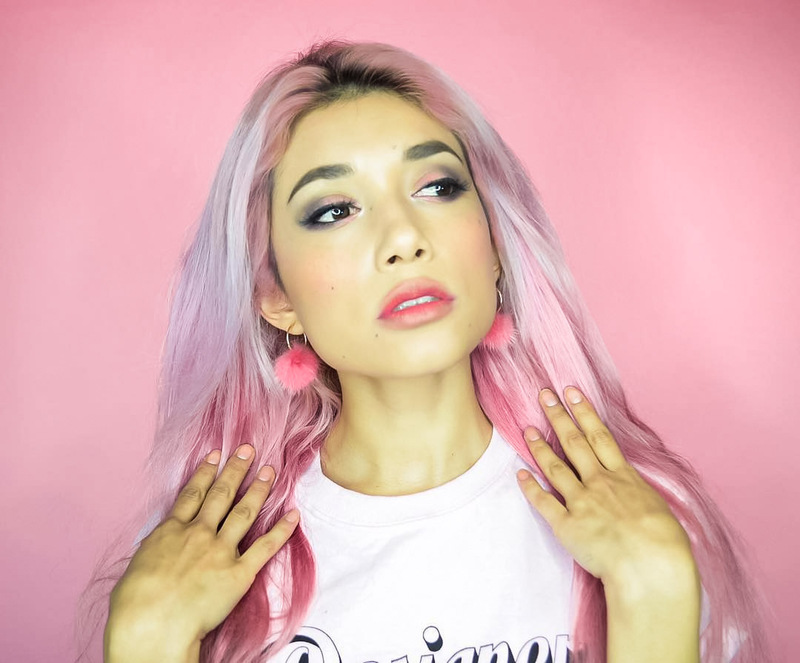 Los colores pasteles y cada detalle es tan delicado que es super femenino. Hi everyone, I hope you are fine because today I want to show a part of the Louis Vuitton ad campaign for spring 2012 and to those who have not seen this collection I tell them that in my opinion is totally romantic and is worthy of a princess. Pastel colors and every detail is so delicate that it is super feminine. La campaña dirigida por Marc Jacobs y fotografiada por Steven Meisel y con la participación de las modelos Daria Strokous and Kati Nescher esta ésta ambientada en un tipo restaurante con decoración de color rosa y blanca. 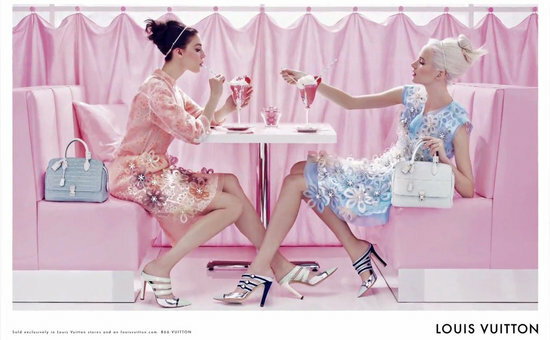 The campaign directed by Marc Jacobs and photographed by Steven Meisel and with the models Daria Strokous and Kati Neschen participation, it is set in a type of restaurant decorated with pink and white colors. Gracias por pasarte por mi blog! El tuyo esta genial y la colección de louis vuitton esta perfecta y totalmente mi estilo! Hello there! I could have sworn I've been to this web site before but after looking at a few of the articles I realized it's new to me. I be able to in fact obtain useful data concerning my study and knowledge. Yes! Finally someone writes about diet coaching. It's an remarkable article designed for all the online visitors; they will get benefit from it I am sure.